I spent last weekend in gamer heaven (or close enough). EGX took place at NEC and it was full of gamers and those from the gaming industry, trying out games, making connections and plenty of promotion. I had a great time, but one thing really interested me over the weekend, how the brands there were using the convention to grow their social networks. Here are a few examples. 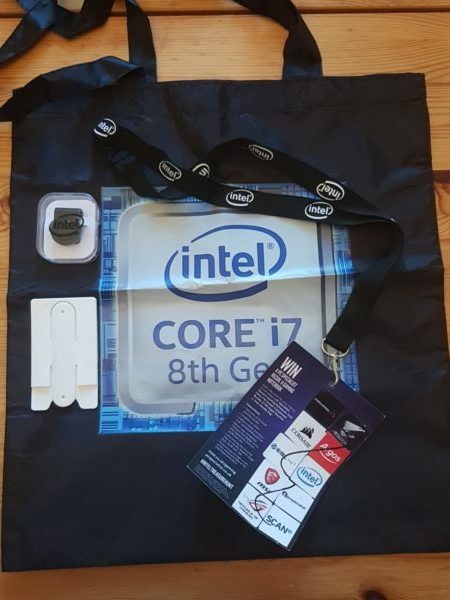 Once you collected all the stickers you could go back to Intel, pick up a goodie bag and a raffle ticket to potentially win one of 4 great prizes. Easy enough. I collected the passport and started visiting each stand. Some of the brands simply handed out the stickers when you asked, but others used this opportunity to increase brand awareness on social media. Before giving you a sticker, you were asked to take a selfie at their stand and share it on any social network with a set hashtag. To get the sticker you’d have to show the post on your social network as proof. Smart thinking! The brands that didn’t pick up on this trend missed out! Not only did this increase social conversations it also built excitement for their stall at EGX and I’m sure increased their followers as a result. I certainly followed some of my favourites. Other brands decided to hold a giveaway. I’ll use MSI as an example. 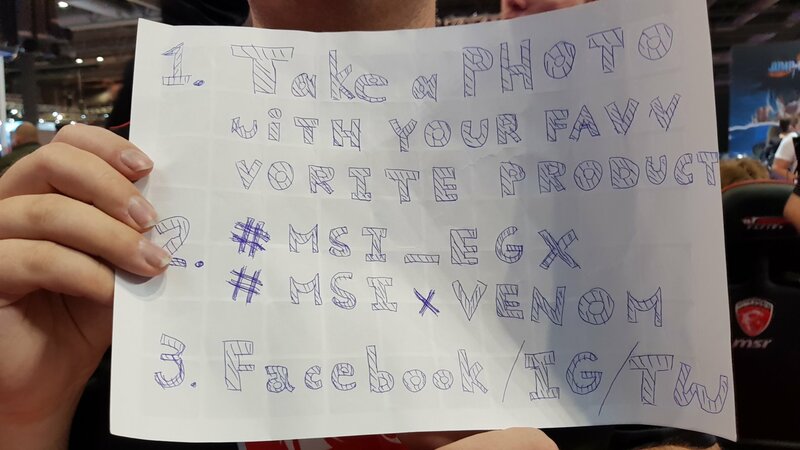 Visitors to the MSI stand were invited to take a photo of their favourite product on the stall, tag it with two hashtags provided and share it on social media. Easy stuff. It was a great way of getting people to spend time at the stand, exploring the different products and generating a buzz online. They also had surveys on the PC’s they were showcasing that you could fill in and leave your email address to be entered for a chance to win. Furthermore, they had a second competition that involved liking social media channels and all sorts of other tasks to increase your chances of winning. My favourite use of social media came from Aorus. Aorus opened a new private group on Facebook just before EGX started. They posted on their Facebook page that anyone in the group could visit the stand at EGX to collect a goodie bag each day (until they ran out), and boy was it a great goodie bag! I requested to join and as soon as I was accepted (about 2 or 3 hours later) I rushed to the stand and picked up the greatest swag ever. It wasn’t just a cheaply printed tote bag or a pen, we were given a very high-quality backpack, t-shirt, bag and a gaming mouse. I believe they ran out of stock before the weekend was over so they replaced some of the goodies with a high-quality Aorus hoodie (I missed out, really wanted one). The group and swag method was particularly clever as it not only grew their social community on Facebook (a difficult task) it also helped to generate loyalty. Posts were shared across different channels about the goodies that were given, and people commented on the Facebook page and group, increasing engagement. Furthermore, there are a great bunch of brand ambassadors now walking around the UK and people are being active in the group. Nice work, Aorus, and thanks again for the treats! These were just a few examples of what I considered to be smart ways of building social awareness and increasing brand loyalty, engagement and social followers. Nice work, everyone! Hopefully these ideas will be of use to you as you attend different events in the coming months.